Areas of Expertise : International political economy, global governance, political economy of development. Dr. MO Jongryn is a visiting research fellow at the Asan Institute for Policy Studies. 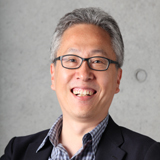 Dr. Mo also serves as vice president for International Affairs at Yonsei University and maintains non-residence affiliations with the Hoover Institution and Stanford University. Previously, Dr. Mo was an assistant professor at the University of Texas at Austin. He is the author of Korean Political and Economic Development: Crisis, Security and Institutional Rebalancing (with Barry Weingast, 2013), The Rise of Korean Leadership: Emerging Powers and Liberal International Order (with John Ikenberry, 2013), and editor of Middle Powers and G20 Governance (2013). Dr. Mo received his B.A. in economics from Cornell University, M.S. in social science from the California Institute of Technology, and Ph.D. in political economics from Stanford University.